Potable Aqua Chlorine Dioxide Tablets kill bacteria, viruses and cysts, including giardia and cryptosporidium. 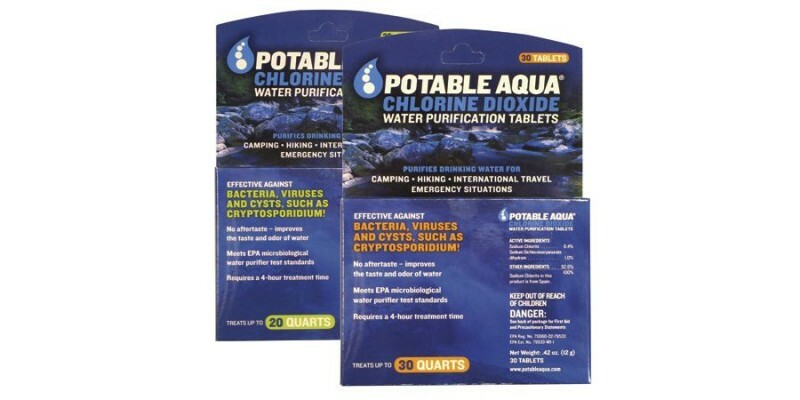 Potable Aqua Chlorine Dioxide Tablets are ideal for campers, hikers, international travelers and emergency situations. This highly effective way to make questionable water suitable for drinking leaves no unusual aftertaste and does not dramatically alter the water's appearance.